Muslims around Sri Lanka are set to celebrate with prayer and food during the Eid al-Fitr festival on Tuesday, marking the end of Ramadan 2014, the Islamic holy month of fasting. The annual holiday, which lasts for three days, marks the anniversary of the Quran being revealed to the Prophet Muhammad. The Colombo Grand Mosque on Sunday said that Sri Lanka will be celebrating Ramadan on Tuesday as the the new moon had not been sighted. The three-day festival, sometimes abbreviated as “Eid” or “Eid Mubarak,” marks the end of the monthlong daytime fasting during Ramadan, which began on June 28 this year. Eid al Fitr begins after the new crescent moon appears and falls on the first day of Shawwal, the tenth month in the Islamic lunar calendar, when Muslims celebrate unity. During Eid, many join in Islamic prayer, known as salat while saying “Allahu Akbar,” or “God is Great,” and feasting. Ramadan is an annual celebration held during the ninth month of the 12-month Islamic calendar, starting after the sighting of the new moon. The holy month began this year on June 28 at sunset, or “rukyah,” when the moon was spotted. The celebration lasts for 29 or 30 days until the next new moon appears, which happened on Monday. The month of fasting is celebrated by more than 1.5 billion Muslims around the world, including in the U.S., where there are nearly 2.6 million Muslims, according to the Pew Research Center. 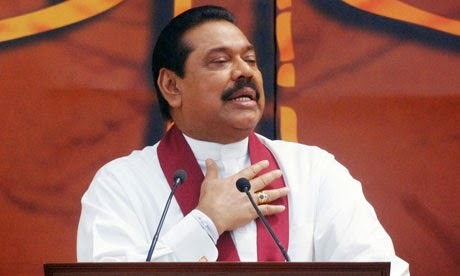 According to the official Government news portal, extending his wishes for the holy festival, His Excellency President Mahinda Rajapaksa has stated that the peace that prevails in the country today has contributed to facilitating religious practices of Muslims in Sri Lanka, and should be strengthened to help in the progress of society and in the country’s development. The Muslim community of Sri Lanka join their brothers in faith the world over today, to mark the completion of the important period of fasting and religious fervour, in keeping with the traditions of Islam. This is now the time of rejoicing at the end of a holy month of strict religious observances such as fasting, deep attention to spiritual values and the regular practice of prayer and sacrifice, in keeping with the teachings of the Holy Quran and Holy Prophet Muhammed. The Muslims of Sri Lanka have carried out these observances in the past month, as they had through the centuries, living in harmony with other ethnic and religious communities of our country. On this occasion, we recall the valued contributions made by the Muslim community for the progress of Sri Lanka in a culture of unity and understanding and look forward to the continuance of such good relations for the future progress of Sri Lanka. “ I wish all followers of Islam in Sri Lanka a happy Eid ul-Fitr. Eid Mubarak.